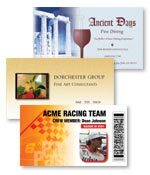  IDscape encodes contact information into a barcode for business cards and ID badges! Create Professional Business Cards, Labels and Security/ID Badges! Infinity Business Cards & ProLabels 8.5 makes it easy and fun to design your own business cards, labels, and security/ID badges from scratch! 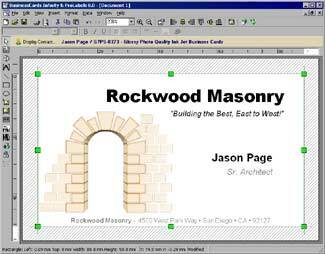 This software is loaded with multiple design features and over 5,000 graphics, fonts and templates. Perfect for individuals, small businesses and corporations. This package contains everything you need to get started right away: Easy-to-use software, a variety of quality business cards and labels. Create any label size or format using this software’s powerful design tools or adapt one of the included templates to match your needs! Additional labels and business cards are conveniently available Online at www.versacheck.com or from most computer retailers and office superstores. for employees from multiple departments or companies with ease!